The study titled "Multicriteria estimate of coral reef fishery sustainability" appears online in the journal Fish and Fisheries. 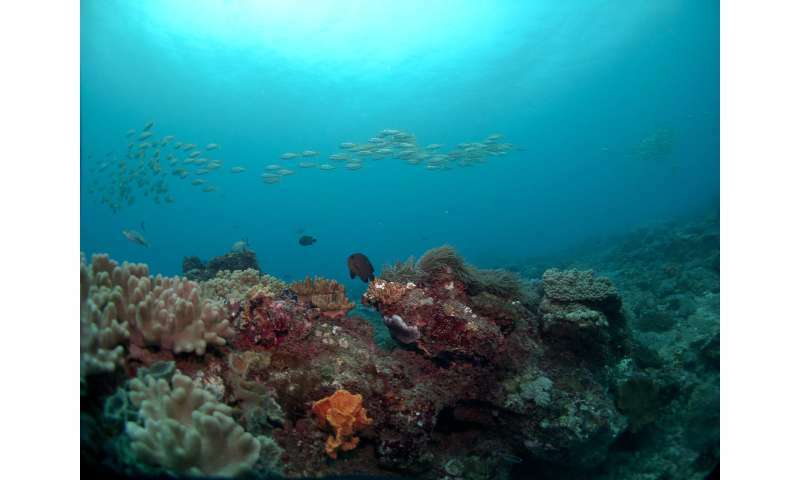 "It took so long because the missing variables required studying the recovery of fish in reefs where all fishing was banned, as well as measuring fish catches long enough to know if their catches were stable," said Dr. Tim McClanahan, the study's sole author and a Senior Conservation Scientist for WCS. "Both bits of information required 20 years of field studies to be confident in the numbers and their conclusions." Fisher in the waters of coastal Kenya. Credit: T. McClanahan/WCS. 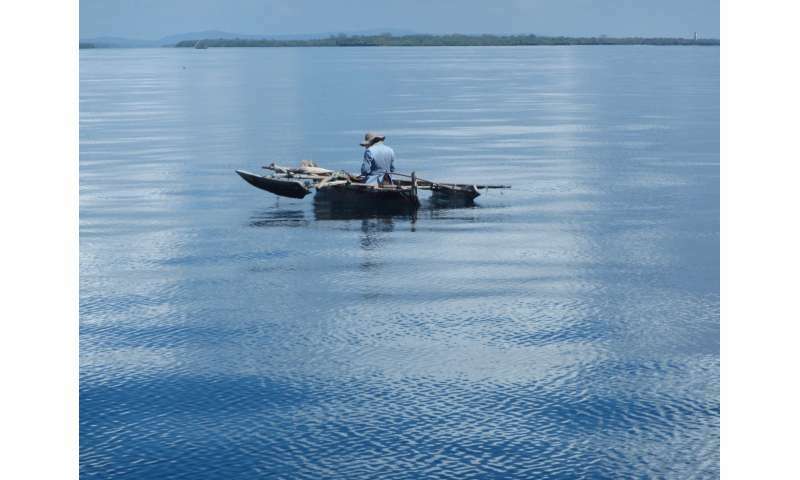 "Fishing sustainably is increasingly becoming critical given the emerging number of ecological challenges facing coral reefs, with climate change, ocean warming and acidification being the best known," said McClanahan. "Sustainably managing fish populations in coral reef systems is one of the few ways to fight the threats that climate pose for coral reefs. And now that we have some clear goals, we can aim for them and limit future damage." Calibrating the model with the new data, McClanahan found that, in waters where fishable biomass was approximately 20 metric tons per square kilometer, all yields exceeding six metric tons declined at a rate of 2.5 percent annually—a small number that would be hard to detect without a long study. The author concluded that fish biomass would need to be increased to 50 metric tons per square kilometer to achieve the six-metric ton threshold proposed as the maximum sustainable yield. McClanahan added: "While this took many years of study, I am hopeful that it provides a rigorous benchmark that can be tested and applied to other seascapes in the Indian and Pacific Oceans."